1,706 sq ft; lot: 0.52 acres - MLS# 1621069 Courtesy of Shorewest Realtors, Inc. Beautifully updated inside and out! 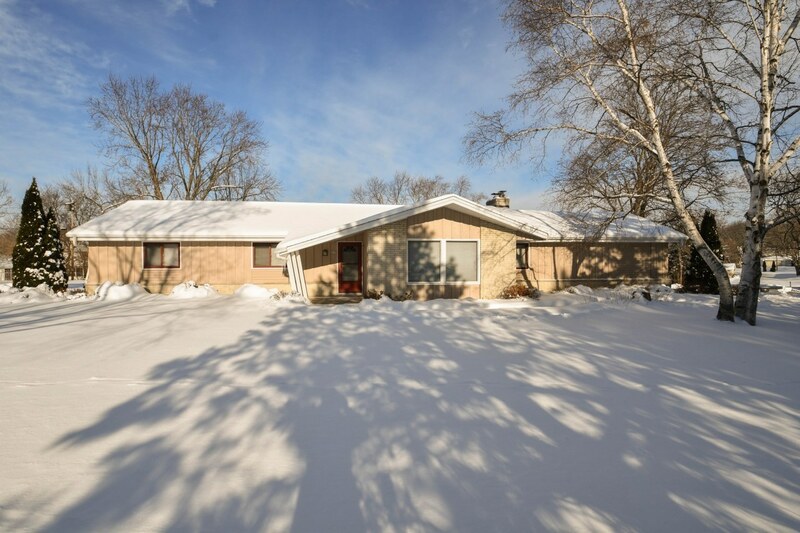 This spacious 4 bedroom ranch home has so much to offer! Sunken living room with new carpet and loads of natural light. Family room boasts cozy natural fireplace, new carpet and sliding doors that lead to patio area. Convenient kitchen with breakfast bar, dinette, pantry and stainless appliances. Formal dining area makes entertaining a breeze. 4 nice sized bedrooms with gleaming hardwood floors. Loads of storage! Located in Glengarry Highlands on a beautifully landscaped half acre corner lot. 2 car attached garage. Freshly painted! You will be proud to call this gem home!